FASHION || 304# | Your Daily Dose of Style. 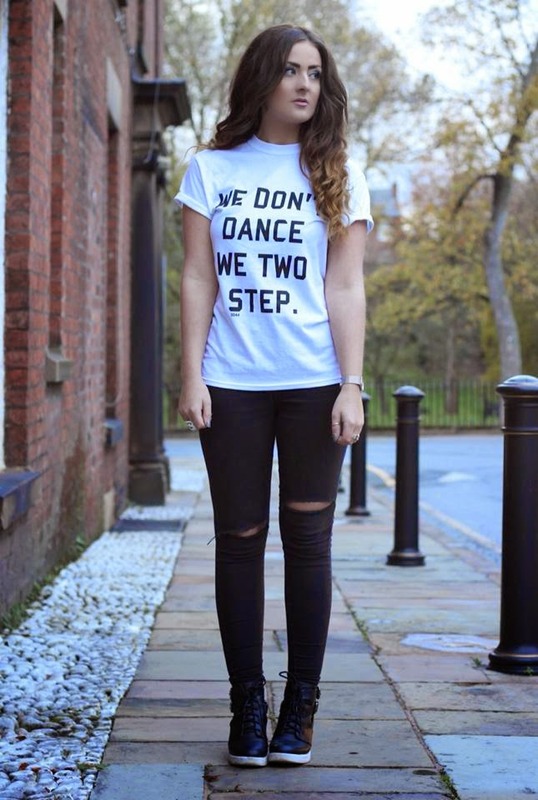 We Don't Dance We Two Step. I've been wanting a slogan tee for so long, but with the wide range of slogan tee's about I couldn't decided. 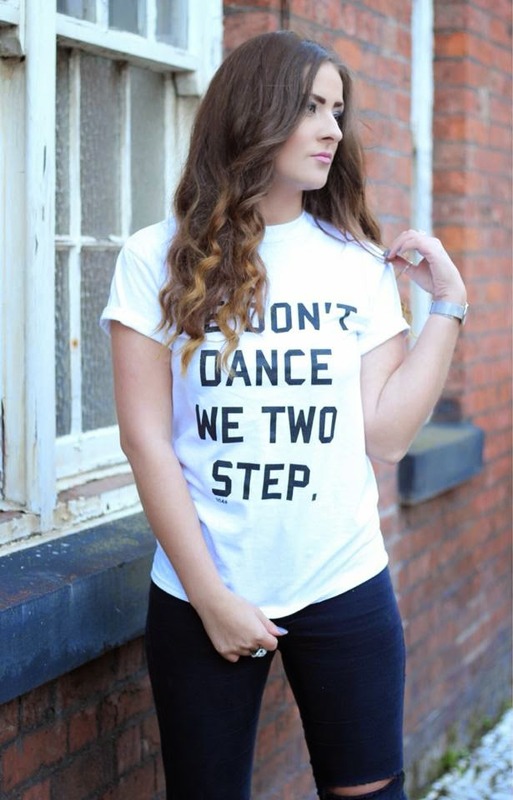 304# clothing sorted me out by sending me this 'We Don't Dance We Two Step' white tee from their S/S 14 collection which i received last week. I love the funky slogan it mixed the trend with a bit of humour. 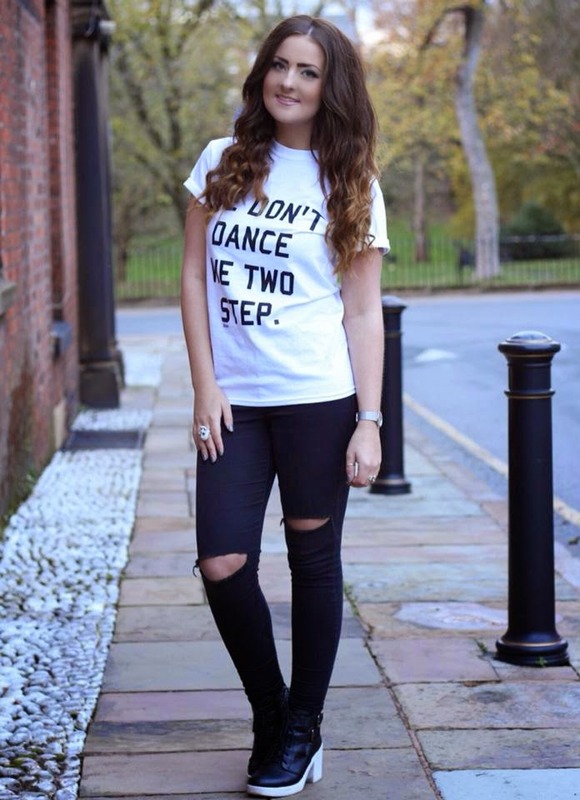 This tee is perfect for layering up this winter and you can style it with near enough anything! 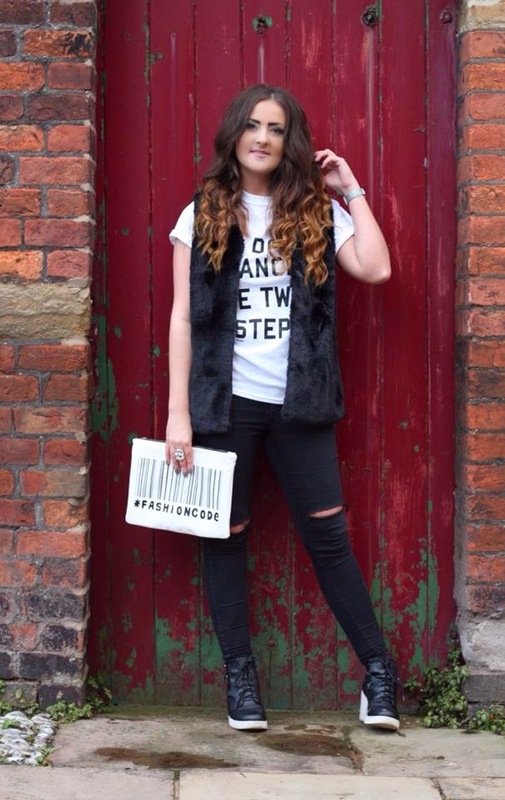 304# have just release their new A/W collection which is full of cosy beanies and slogan jumpers! 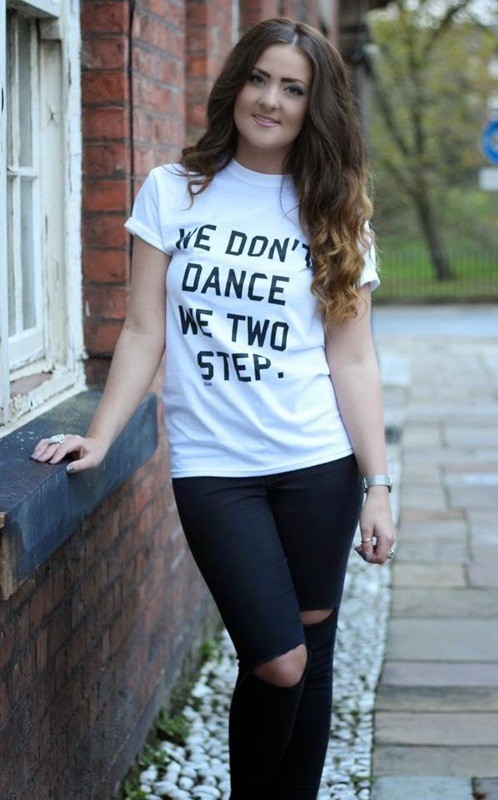 As this top is monochrome style with the black font and white tee. 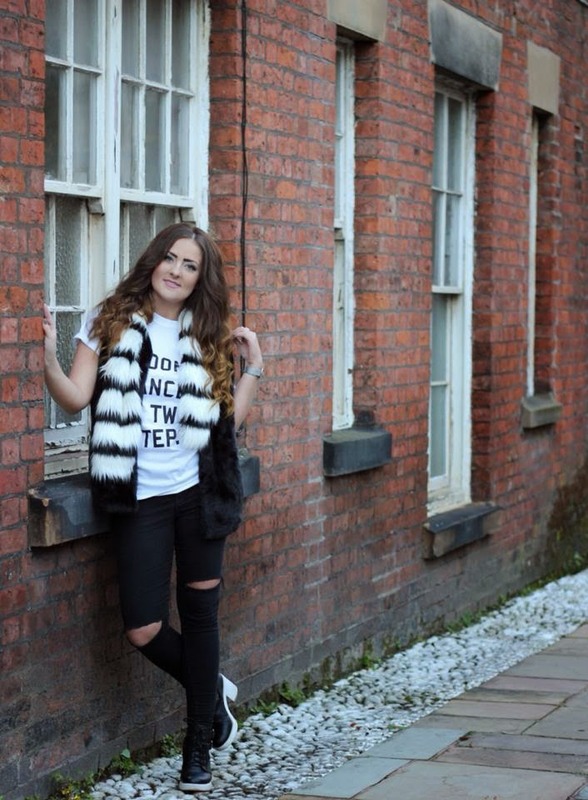 I thought I'd style it up with some black & white pieces that I have in my wardrobe, including my new favourite faux fur limited edition scarf from Primark! 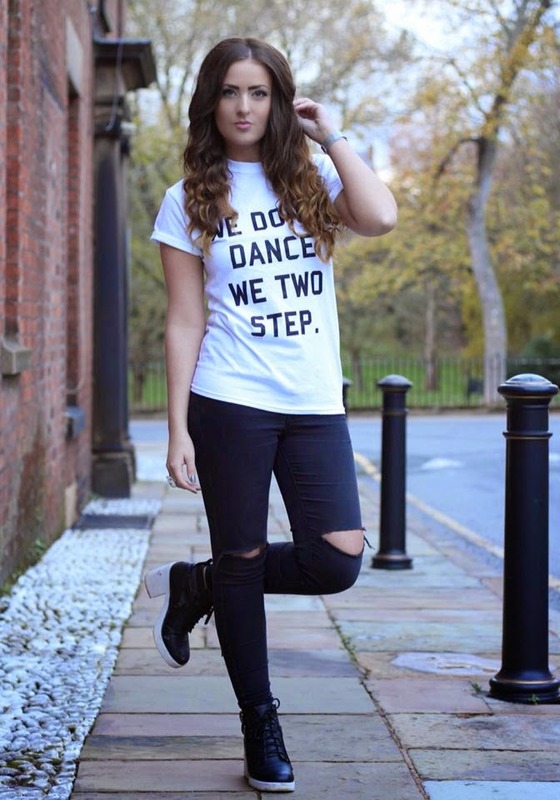 Even though this piece was limited edition it was still an affordable price that Primark is widely known for! 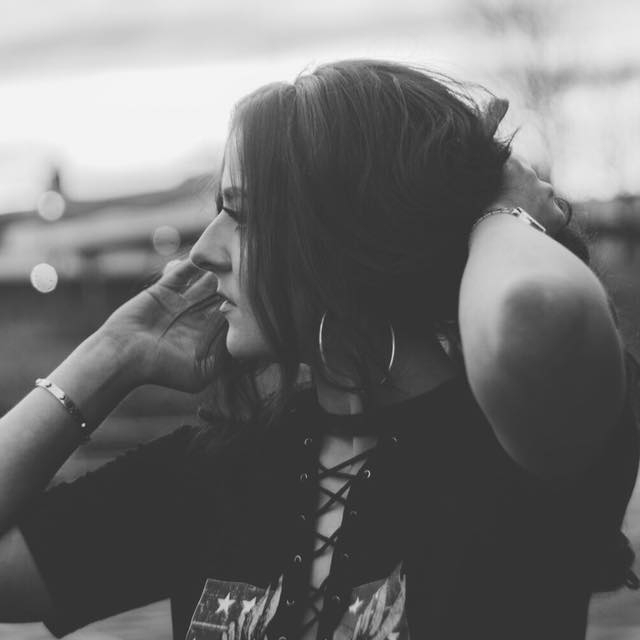 A lot of fashion bloggers are a fan of this scarf so I thought I'd jump on the hype and I'm glad I did as it dresses up any outfit and keep you cosy and on trend this A/W 14.